Who doesn’t want to impress their friends and family with cool dog tricks? 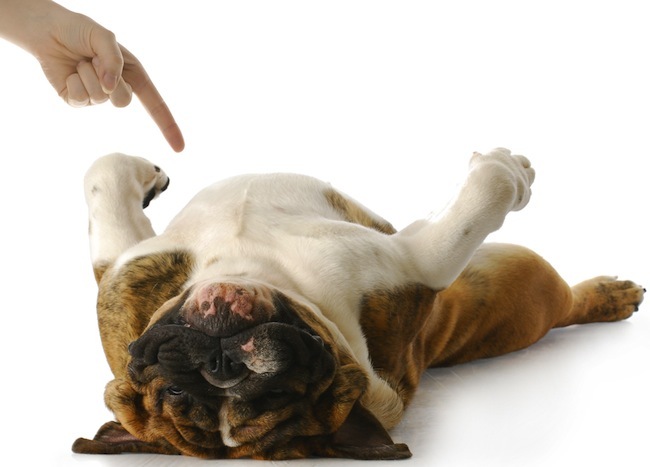 In this article, we show you how to teach a dog to play dead. Almost all pet owners want to impress their friends and family with cool tricks that their dogs can perform. The perfect dog will perform them and appear to be happy doing so while her inner puppy is probably rolling her eyes and pondering why you have to make her act so silly. Regardless of what is going through your pup’s head, you can train her to perform the “shoot the dog dead” trick. In this article, I’ll show you how. Before you can begin to teach your best friend to do the “shoot the dog dead” trick, your dog must have some level of obedience training. At the very least, she will need to obey the down command (in other words, she lies down on command), but the trick will work better if she will also obey the stay command. Ensure that she is reliable on the down command before even attempting to teach her the shooting trick. It would be wise to practice down/stay often so she will follow through every time you give her the command. Let’s start with the side roll. This one is simple. Put her on a down stay. Once she is in the proper position, lying on the floor, roll your pooch gently onto her side and give her the stay command. You might need to hold her down for a few seconds so that she gets the idea. Once you release her, give a tasty treat and plenty of praise. Practice this initial step in short, two- or three-minute sessions a few times a day. Dogs do well when their training is consistent. When your pet gets good at that part, it’s time to add a verbal cue. Choose which word suits you best for the trick. I would suggest “Bang!” “Pow!” or “Boom!” There are more creative pet owners who practice making the sound of a machine gun for the trick. The sound is completely up to you; just be consistent with the wording as your dog will respond only to that sound. When your dog gets that hang of the verbal cue, add a visual cue to the mix: Make a shooting signal with your right index finger and thumb and quickly say your command word. Your pup will probably become reliable on the “shoot your dog dead” trick within two weeks of proper training. Practice regularly if you expect your pet to be ready to perform on a moment’s notice. This one is a bit harder to master. First, teach the dog to reliably perform a stand stay. Practice until she stays still while standing until you release her from the command. Once she can handle this, you can move on. Next, give the “Bang!” “Pow!” “Boom!” or machine gun sound. Then tell the dog “down.” (If she already knows the side roll, she will probably think that you forgot to tell her to go down and will simply roll onto her side.) Take the time to practice with your pet, and both of you will amaze your family and friends.